Great Home for the Family! 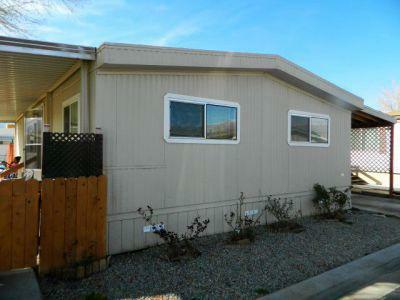 This 3 bedroom 2 bath home is located in on one the biggest lots Glenwood Mobile Home Park. Open living room area with pellet stove, granite tile counter tops in kitchen. Large fully fenced backyard with lawn and storage shed. Wood laminate floors, tile in the kitchen, updated lighting, tiled master shower, Most of the home has been dry-walled,Textured walls, updated appliances. Needs a little finish work. On a corner lot plenty of parking.